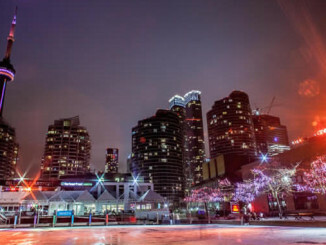 There are many options for New Years Eve 2017 in Toronto whether it be at a bar, a restaurant, a nightclub or at an event space that has been rented for a private event. There are also some fun free events taking place. Here are a few of our favourite events. If you know a great event that we may have missed, please get in touch with us. The Danforth Music Hall – NYE 2017 with Dwayne Gretzky! Dakota Tavern – New Years Party with CATL! Dinner $75 – select 3 or more courses from our a la carte menu. Late Night Affair – $85 Standard Bar Selection, $110 Premium Bar Selections – Includes passed canapes, oysters and more! $40. $35 for full-time students.